Weddings take place every month of the year but not all brides plan summer ceremonies. Many brides plan winter ceremonies. 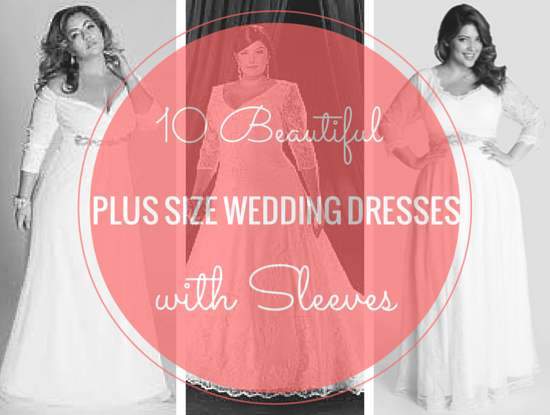 Shopping for winter wedding dresses is not much different from shopping for any other gown. All brides are looking for their dream gown no matter what the weather will be. A wide selection of gowns are available that have fur trim that make them ideal options for colder months. Wearing one of the varieties of wedding dress cloaks is another way you can stay warm yet stylish during a winter ceremony. Several online web sites carry a selection of gowns and cloaks suitable for cold weather including DHgate, DresSale, eBay, and TB Dress. This Noble A-line long sleeve wedding gown features fur trim around the neckline and sleeves. The lovely gown has flower embellishments on the tiers of the full skirt, sleeves, and neckline. A back zipper closure goes from the waist to the fur collar. 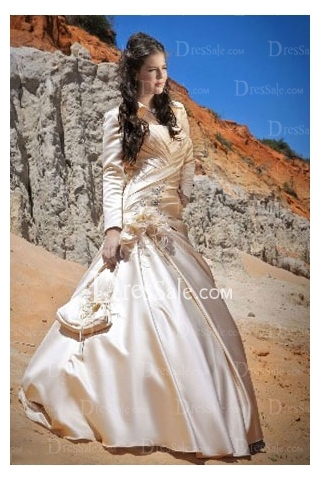 Any bride will look like a princess in this beautiful ball gown that is available on the TB Dress web site. This gown has a luxurious fur collar and long sleeves edged with fur and lace. The lace up ball gown is made of tulle and is adorned with beading under the bodice and at the waist. Lace embellishes the full skirt along with silk flowers. The gown will keep any bride fashionably warm during a winter ceremony. The stunning gown can be found on eBay. This exquisite two-piece bridal gown features a strapless style with court train. The classic A-line is made of satin with a diagonally ruched bodice and waist. A side draped skirt adds to the charm of the gown. Beading and handmade flowers embellish the side hip. The detachable satin jacket has long sleeves. The elegant gown is available on the DresSale web site. The Glamorous Ball Gown features fur trim on the edges of the long sleeves. Two rows of fur trim are around the neckline. The floor length gown has a full draped and tiered skirt with lace edging. Beading and rhinestones adorn the neckline and front of the waist. With a romantic look, the gown will turn any bride into a winter princess. You can find the charming gown on the TB Dress web site. 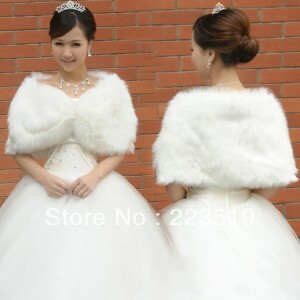 As an accent to many styles of wedding gowns, this Winter Wedding Cloak features long sleeves and fur trim. The satin coat has a chapel train that is trimmed in fur. It is made in an A-line style with a high collar for warmth. Beading decorates the stunning winter cloak. 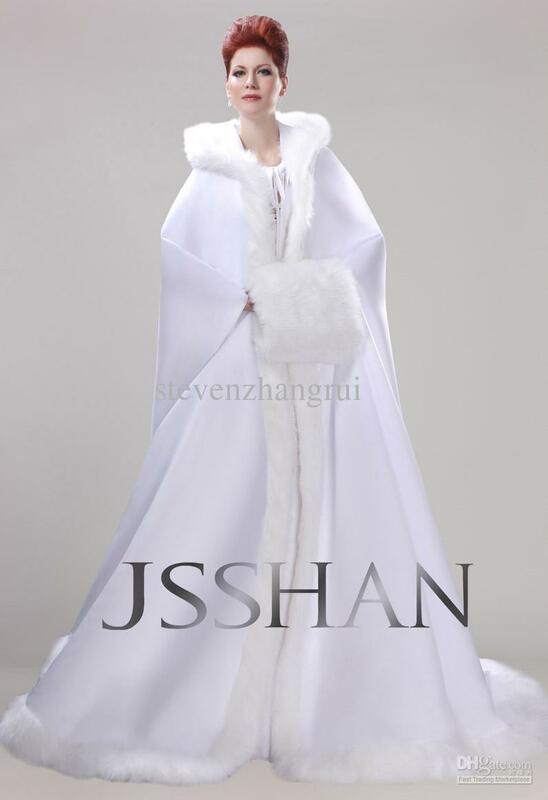 You can find the elegant coat on the DHgate web site. 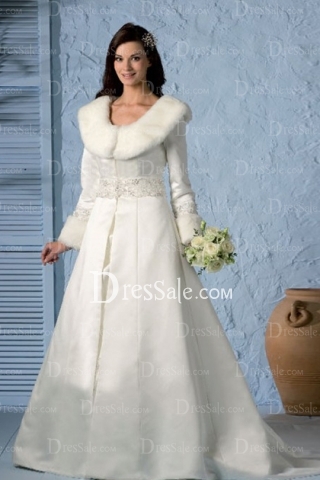 This lovely Refined Winter Wedding Dress features an elegant pile scoop neck with long sleeves that are trimmed in fur. The fur adds a look of luxury as well as warmth to this unique gown. A beaded sash accents the natural waistline of the gown. The satin floor length gown has a court train. You can find this charming gown on the DresSale web site. This Lavish Style Long Sleeve Wedding Dress has understated elegance. It features a formfitting bodice, wrapped style floor length skirt, and long sleeves. A sequined broach adorns the side of the waistline and the satin gown has a ruched ribbon belt at the waist. 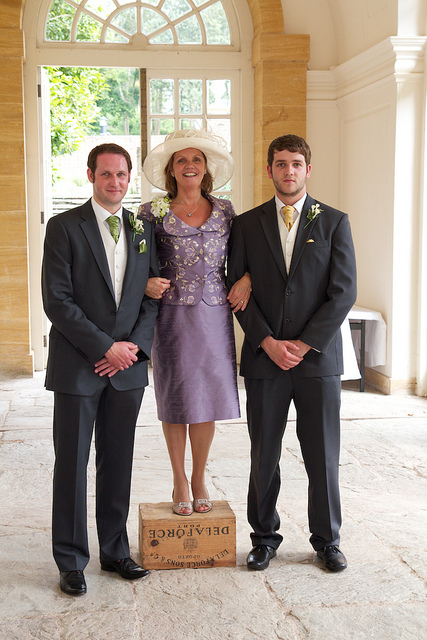 The simple column style of the gown is enhanced by the fur trimmed neckline. The lovely gown can be found on the DresSale web site. This gorgeous white Winter Hooded Wedding Cape is made of satin and faux fur. The mid-length cape is an ideal cloak for winter weddings. 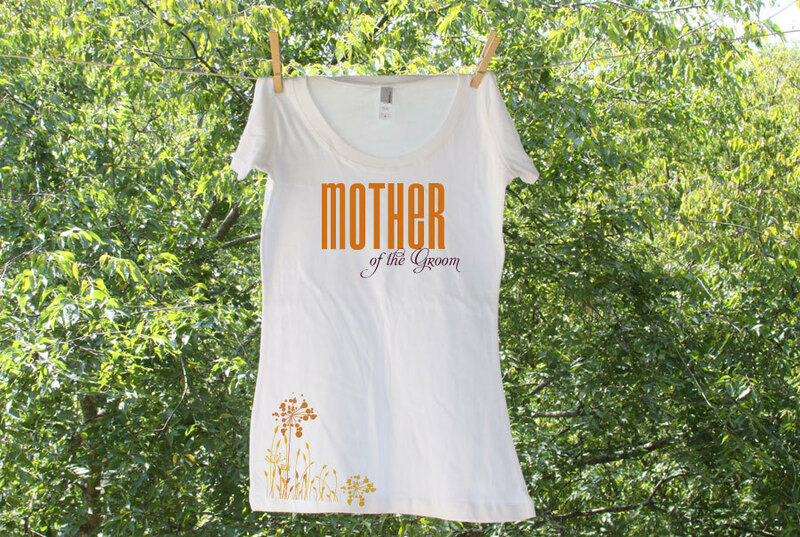 The custom made cape is also available in ivory. The sleeveless cloak has slits for your arms. This beautiful cape is available on the DHgate web site. The beautiful Fur Trimmed Bridal Cloak features an oversized hood to fit over tiaras and headpieces. The cloak is made of matte satin and is lined on the inside with the same luxurious material. Faux fur trims the lovely garment completely along the edge. Satin ties are attached at the neck to secure the cloak in place. The floor length bridal cloak is available on eBay. This Winter Wedding Cloak is an elegant wrap for any gown. 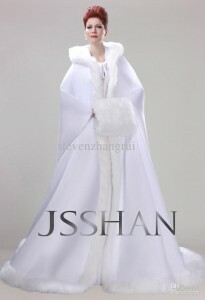 The floor length cloak is completely trimmed in fur adding to the elegant design. Made of satin, the cape has long sleeves, an oversized hood, and a chapel train. This beautiful winter cloak is available on the Dhgate web site.